Deir Yassin is one of the founding myths of the Palestinian narrative, according to which Israelis murdered 254 people, committed rapes, and other gender-oriented atrocities in a peaceful 1948 Palestinian village. For the past five years, I have carried out an in-depth research into the affair, learned to know the village, who lived there and where, their names, and above all, the exact circumstances of death of each of the people killed there. The results were astounding, but clear. There was no massacre in Deir Yassin. No rapes. Lots of unfounded Palestinian propaganda. On 9 April 1948, combined forces of the Jewish Etzel and Lehi underground organizations attacked Deir Yassin, an Arab village west of Jerusalem. It was four months after the eruption of hostilities between Jews and Arabs in Palestine, and about a month before the termination of the British mandate and the establishment of the State of Israel. The nature of this attack became one of the most controversial issues in the history of the Arab-Israeli conflict, serving the Palestinians as a proof for Israeli inhumanity. For almost seven decades, an anti-Israeli biased literature described it as an intentional and deliberate massacre of defenseless Arab villagers, accompanied by rapes and other atrocities. What really happened in Deir Yassin? Contrary to what one could expect, I found that the testimonies of the Jewish attackers on the one hand, and the Arab survivors on the other hand, were surprisingly similar, at times almost identical. My methodology, therefore, was to integrate the testimonies of both parties involved, Jews and Arabs, into one story. I relied on a vast number of testimonies and records from 21 archives (including Israeli, Palestinian, British, American, UN and Red Cross), many of them yet unreleased to the public, and hundreds of other sources. My findings were basically two: no massacre took place in Deir Yassin, but on the other hand, the false rumors spread by the Palestinian leadership about a massacre, rapes and other atrocities, drove the Palestinian population to leave their homes and run away, becoming a major incentive for the creation of the Palestinian refugee problem. Deir Yassin was not the peaceful village many later claimed it to be, but a fortified village with scores of armed combatants. Its relations with the adjacent Jewish neighborhoods were troubled for decades and the Jews believed it to endanger the only road from Jerusalem to Tel Aviv, thus constituting part of the Arab siege of Jewish Jerusalem. Therefore, although later denying it for political reasons, the Jewish main militia in 1948, the Haganah, sanctioned the attack and later took part in it by means of its striking force, the Palmach. Have 50 Jews from different groups in the UK, or anywhere else, ever held a mass Kaddish for other groups? Have they ever held a Kaddish for the dead in the Rwandan genocide? Or Rohingya refugees? Or thousands of Yazidis machine-gunned to death by Islamic State? Or for hundreds of Israelis killed during the Second Intifada? Or for Jewish victims of antisemitism, whether in the AMIA Jewish Community Center bombing in 1994 or the murder of Ilan Halimi in 2006? It doesn’t seem so. Only one group has received such a Kaddish, and only once, in a public place for all to see. Palestinians didn’t ask for Kaddish to be said for them. They didn’t ask to become part of a Jewish mourning ritual. They had their own mourning tents in Gaza, their own prayers. But no one who said Kaddish for them in Parliament Square seemed particularly interested in Islamic mourning, or in live-streaming a mourning tent from Gaza. They wanted to say Kaddish – they wanted to colonize the dead in Gaza for a kind of theater in London. I read two accounts of the Kaddish prayer in London, by two participants. One uses the word “Jew” or “Jewish” 10 times, the other five times. One uses the term “Gazans” once and the other uses the term “Palestinian” once. This incredible imbalance between self-references and references to the other – the group supposedly being prayed for – illustrates that the event wasn’t about Palestinians, it was about Jews. As the news became public, social media comments were filled with the anger of many in the Jewish community. Some of these comments were indeed outrageous. Why people make comments such as ‘I hope you commit suicide‘ is totally beyond me. But as awful as this may be, this isn’t news that is specific to this event. We know social media comments are full of hate. I personally receive ‘hate mail’ almost daily. Focusing on this element, rather than the fact that Jewish groups are creating extremists, was a matter of choice. It became a successful exercise in deflection. Jewish News published a blog written by someone who had said Kaddish for terrorists. It wasn’t the blogger who chose to use the word ‘murder’ in the headline, it was the Jewish News editorial team (the Jewish News later changed the disgraceful headline). The blogger merely whines her way to the conclusion that Israel ‘does not value human life’. In any event, a party of forty-five extremists had been given a voice in the Jewish News. How about giving Kahanist views airtime? Or does the paper’s pandering to more extreme views only reach out in one direction? Forty-five people and one blog. Enough, right? Wrong. One hour later there was another one. The second blog ran with an identical tune. Like the first it misled readers by suggesting the Kaddish group came from a ‘diverse’ range of opinions. Like the first it suggests the author is the one with a superior moral code that the rest of us need to aspire to. Just like the first it whines its way to the conclusion that outside of this band of extremists, Jewish people do not respect Jewish life. Two is enough right? Wrong. The Rabbi who led the Kaddish also wrote a blog. That too was published. Forty five people – three blogs. But we are not finished. Barry Shaw: Want to know why Israelis have little patience for Jewish Democrats? First, none of their leaders accepted the invitation to attend the opening of the US Embassy in Jerusalem, Israel's capital. Second, Bernie Sanders just agreed with Hamas that they have the right to return to Israel, which would spell the end of Israel. Third, Dianne Feinstein endorsed the Fatah-Hamas call for a UN investigation of what happened on the Gaza border after all the delegates, except Nikki Haley and Israel had roundly condemned Israel and not Hamas. So when Jewish Democrats wonder why Israel ignores their views on Israel or take their protests to be pro-Israel with a pinch of salt they will understand why. These actions from their political leaders are as lame as they were when they backed the awful Obama-Kerry nuclear deal with Iran. Or when Obama stuck the knife in Israel's back when voting against Israel.at his final session of the UN Security Council and the Demos stayed silent. The Demos are coming after Israel on two counts. Our relief and massive appreciation for a president that keeps his promise and affirmatively stands with Israel is being threatened by Democrats who warn us not to get too close to Trump and stop applauding him because there could be a price to pay when they get back into power. The demonstrations on the border fence along the Gaza Strip revealed the extent of progressivism's spread in Israel and in the Western world. The youth voiced their opposition to Israel and support for the Palestinians from a progressive worldview that characterizes the Left's latest reincarnation. Displays in exhibitions, demonstrations in the streets and even recitations of the kaddish – the Jewish mourning prayer – for the "massacred martyrs" have become commonplace, exposing where the worldview of these so-called "progressives" is progressing to. The first principle in this view is universalism. Because national values contradict borderless universalism, national symbols such as anthems, flags and even ideas of sovereignty are understood to be outdated in the best-case scenario, or in the worst case dangerous. The influence of this view could be seen well into the period of the Brexit, or the U.K.'s gradual withdrawal from the European Union. The desire to preserve Britain as a state with a particular sovereignty is seen as a dangerous national sentiment by progressives. According to progressivism, nationalism has died and left chauvinism and racism in its place. Campaign Against Antisemitism has launched a Parliamentary Petition calling for the full proscription of Hizballah. We urgently need at least 10,000 signatures to force the Government to respond. Supporters of Hizballah annually parade through London and are permitted to do so on the grounds that only Hizballah’s “military wing” is proscribed. Even Hizballah admits there is no “military wing”. We must stop these parades on our streets. The next pro-Hizballah parade is planned for 10th June. Britain proscribes Hizballah’s “military wing” but, at the behest of the Foreign Office, not its “political wing”. Hizballah mocks the distinction. For example in 2012 its Deputy Secretary-General said: “We don’t have a military wing and a political one”. Hizballah seeks the extermination of Jews. For example in 2004 its Secretary-General said: “If Jews all gather in Israel, it will save us the trouble of going after them worldwide. It has been responsible for terrorist attacks murdering Jews from Buenas Aires to Burgas, and has even been blamed for two bombings targeting Jews in London in 1994. The Home Secretary, Sajid Javid, is the only person whose signature can instantly proscribe the whole of Hizballah. We have already written an open letter to him along with a prominent Muslim anti-extremism organisation. Palestine Museum opens in Connecticut. It what has been dubbed an "artistic Intifada", a new Palestine Museum has opened up in Woodbridge, Connecticut. In an interview with the Hartford Courant, museum founder Faisal Saleh denied that the museum had a political agenda. Yet the museum is highly politicized, featuring a portrait of an ISM volunteer, Rachel Corrie who was killed protecting smuggling tunnels in Gaza. Stroud told the parents, according to the Post, that the school had approved the moment of silence announced over the school’s public address system. A student has requested the moment of silence following a border protest in which at least 60 Palestinian protesters were killed by Israeli troops. Israel accused the Hamas terror group of encouraging the protests and using them as cover to attempt to carry out terror attacks, including firing at troops and attempting to breach the border fence. Some Jewish parents told the Post last week following news of the tribute that they were unhappy that the school got involved in the Israeli-Palestinian conflict. A Jewish student told the newspaper that the moment of silence made some of her Jewish friends uncomfortable. Meanwhile, about 200 current and former students and parents signed a letter in support of the moment of silence. Writing in The Times of London, Bishop of Kensington Graham Tomlin is absolutely right to draw attention to the plight of Christians in the Middle East. The systematic persecution of Christians in the Middle East is a serious threat. The number of Christians in Middle Eastern countries has fallen from about 20 per cent to 4 per cent in recent years and regular bomb attacks on Christians in Egypt are becoming part of a deadly pattern. Even in Jerusalem, new regulations are threatening to tax the Christian churches out of existence, prompting the recent unprecedented closure of the Church of the Holy Sepulchre as an act of protest. The buildings from ancient times will still stand, but if Christians are hounded out of the Middle East, driven to emigrate by radical Islam, or, in the case of many Palestinian Christians, by the lack of opportunities to thrive in Israel, this rich source of wisdom will disappear just like the ruins of Palmyra. Having set up a scene of “systematic persecution of Christians in the Middle East,” Tomlin implies that Israeli regulations are part of this. Nothing could be further from the truth. Hatem Bazian is a senior lecturer in the Near East Studies Department at UC Berkeley and founder of the Islamophobia Research and Documentation Project in UC Berkeley’s Center for Race and Gender. Bazian is also the founder of the Students for Justice in Palestine and head of the American Muslims for Palestine, both which have been defined as fronts for Hamas. In November 2017, Bazian was caught on the Internet displaying anti-Semitic cartoons and accusations of organ theft by Jews. He proffered a non-apology apology by saying he could not be considered anti-Semitic because he willingly worked with some Jews opposed to a Jewish state. This is by way of introduction to the Islamophobia Conference Bazian held April 27-29 at UC Berkeley. It was his ninth annual gathering, with attendees convened to discuss the threat from Islamophobia in all forms. Attendance was sparse compared to previous years. Earlier conferences were held in the prestigious Boalt Hall law school auditorium, with more than 150 attendees and many presentations. This latest conference failed to muster more than 40 or 50 people on any given day. An Algerian blogger has appealed a 10-year prison term imposed on him for interviewing an Israeli foreign ministry spokesman, his lawyer said on Sunday, according to AFP. The blogger, Merzoug Touati, was convicted on Thursday of providing intelligence to "agents of a foreign power" likely to damage Algeria, by a court in Bejaia, east of Algiers. The 30-year-old blogger submitted his appeal the following day and was feeling "optimistic", his lawyer Boubakeur Esseddik Hamaili said. "I have seen my client, he is doing well and is a tower of strength. He proclaims his innocence as he has done nothing but exercise his rights guaranteed by the constitution," the lawyer added. Touati has been in prison since his arrest in January 2017 over an online video interview with an Israeli foreign ministry spokesman. He was also under arrest for a Facebook post in which he called for protests against a new financial law, reported AFP. During his trial the court dropped three additional charges including incitement against the state, which his lawyer said carries the death sentence. The 10-year jail term was described as "utterly shocking" by Amnesty International, which said Touati had been convicted "solely for expressing his peaceful opinion online". Reporters Without Borders also condemned the sentence as "disproportionate and unjustified" and said a social network post should not lead to imprisonment. The Guardian’s nearly 6,000 word ‘Long Read‘ on May 18th, written by Sarah Helm, focused on a 22-year-old Palestinian man, Mohanned Younnis, who committed suicide in Gaza. Helms contextualised the incident as just one example of a disturbing “rise in suicides” in Gaza caused, in large measure, by the horrible living conditions caused by the Israeli “siege”. One of Mohanned’s last pieces of writing was a play called Escape. Shortly before he died, he had made a final effort to escape. His mother said he had applied to Israel’s prestigious Hebrew University in Jerusalem to study literature, and had been accepted. But he was unable to take up the offer, because Israeli security refused him permission to leave Gaza. However, we checked with COGAT, the Israeli authority tasked with processing such travel permits, and they flatly denied that the young Palestinian man had ever applied for permission to travel in the first place. COGAT “has not received a request from Mohanned Younis”, the spokesperson told us.
.@SarahHelm1 You claimed, at @guardian, that the 22 year old Gaza man, Mohanned Younis, who committed suicide, had been denied an exit permit by Israel to study at Hebrew University. Time: The Kalief Browder Story is a Netflix series tracing the tragic case of Kalief Browder, a Bronx teen who spent three horrific years in jail, despite never being convicted of a crime. Rapper Jay-Z, who met with Browder after his release, co-produced this documentary series. This still of Jay Z and Browder is the preview image of the series on Netflix. If you said “One is in black and white, the other is in color”, then delete your account. It does not matter which account, you just don’t deserve to have one. The answer is, of course, the Netflix version of the picture removed the Hebrew from Jay Z’s shirt. There has been a sharp rise in anti-Semitic and anti-Israel political cartoons in Arabic newspapers following the transfer of the US embassy from Tel Aviv to Jerusalem, according to the Anti-Defamation League. 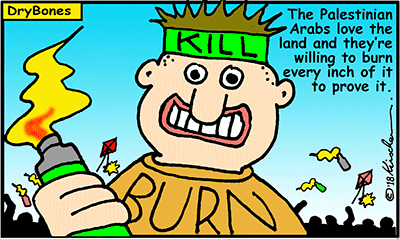 The ADL highlighted cartoons from Arabic-language publications in Egypt, the United Arab Emirates, Saudi Arabia, Qatar and Iran. Recent cartoons used themes that “invoked anti-Semitic conspiracy theories of Jewish control of US foreign policy” or “included dehumanizing depictions of Israel as a beastly animal,” the New York-based watchdog group said. The cartoons ranged from portraying Prime Minister Benjamin Netanyahu and US President Donald Trump as snakes plotting the takeover of the Temple Mount to the devil holding an American flag with the stars replaced by Stars of David. Other images showed a pig marked by a Star of David resting on the American flag and Trump cleaning blood off the teeth of a wolf adorned with a Star of David. Last week, Palestinian Authority President Mahmoud Abbas, who was hospitalized reportedly suffering from pneumonia, was pictured reading a newspaper which prominently carried a large cartoon on its back page showing an Israeli soldier taking a baby’s milk away from her and ramming poison down her throat instead. Left-wing protesters against French President Emmanuel Macron paraded in Paris with a poster of him wearing a Nazi uniform and an Israeli flag — prompting legal action by a watchdog on anti-Semitism. In the poster carried Friday by protesters against the centrist leader’s economic reform, he was wearing a black uniform emblazoned with his initials and two dollars signs instead of the SS symbol of the elite Nazi unit known by that acronym. The Israeli flag featured on the figure’s right-hand upper arm. The National Bureau for Vigilance Against Anti-Semitism, or BNVCA, complained to police that the poster was incitement to hatred and violence. “We consider this an unacceptable outrage against the head of state, the republic and all the victims of the Holocaust as well as to the State of Israel,” BNVCA wrote in a statement Monday about the complaint. The protest was organized by the French General Confederation of Labour trade union and the far-left party of Jean-Luc Melenchon, a communist politician who has been accused of inciting hatred toward Jews. Russian-Jewish billionaire Roman Abramovich, owner of London’s Chelsea soccer club, has immigrated to Israel, the Interior Ministry confirmed on Monday. Abramovich, 51, landed in Ben Gurion International Airport earlier in the day, the ministry said, and received an Israeli identity card under the Law of Return, which allows Jews to become citizens of Israel. The move to Israel comes after Abramovich was unable to extend his visa in the UK amid a diplomatic spat between London and Moscow. The Nativ Liaison Bureau, which facilitates immigration from Russian-speaking countries, said Abramovich applied for citizenship from abroad last week. “Roman Abramovich arrived at the Israeli embassy in Moscow like any other person. He filed a request to receive an immigration permit, his documents were checked according to the Law of Return, and he was indeed found eligible,” a spokesperson told Channel 10 news. Abramovich, worth $12.5 billion according to the British press, instantly became the richest person in Israel Monday. It currently has over 58.6 million views, since being posted in mid-March, ahead of the next most popular song with almost 57.9 million views – French singer Jessy Matador’s Allez Ola Olé, posted all the way back in 2010. Pop star Enrique Iglesias misses his newborn twins “like crazy.” But he says performing for his fans is the next best thing to being home. While the Spanish singer has traditionally kept his personal life private, he and his wife, former tennis player Anna Kournikova, took to social media last week to share some rare photos and videos of themselves and their children. He said he wanted to open up to his fans because they have given him so much. It was Iglesias’ fourth performance in Israel. Artists, including Iglesias, often come under pressure from a grassroots pro-Palestinian boycott movement not to perform in Israel. But Iglesias said he never had second thoughts about coming to the country. A letter from 1957 in which former first lady Eleanor Roosevelt defends the actions of Israel during the Suez Crisis will be auctioned off this week in Los Angeles. Roosevelt’s letter was written in response to a man who took issue with a newspaper column she wrote about Israel. One reader, a Tom Dietrich of Brooklyn, evidently took exception with Roosevelt’s characterization of the Jewish state. The former first lady took time to respond to the reader on her personal letterhead, in a note dated March 8, 1957. Clay seals believed to have been used by the biblical prophet Isaiah and King Hezekiah are set to be unveiled at a June event, which will be held simultaneously in Jerusalem and Oklahoma via a live stream. While the seals and nearly three dozen other pieces loaned by the Antiquities Authority will be on display in Oklahoma, the archeologist who made the discoveries will deliver a keynote address in Jerusalem. The connection between Oklahoma and the antiquities collection lies with the relationship between Hebrew University of Jerusalem’s biblical archeologist Dr. Eilat Mazar and the Armstrong International Cultural Foundation, whose main cultural center, the Armstrong Auditorium, is based in Edmond, Oklahoma. During the 1970s and 1980s, Herbert W. Armstrong, for whom the foundation is named, sent hundreds of students from California’s Ambassador College to assist Dr. Benjamin Mazar, Eilat Mazar’s grandfather, in the excavations of the Temple Mount. Today, the foundation continues this effort by sending student volunteers from Herbert W. Armstrong College to assist Dr. Eilat Mazar in excavating Jerusalem’s royal quarter, including the City of David and the elevated Ophel section at the foot of the Temple Mount. Until he died in 2003, Kenneth Poch was an amateur historian with a mission: to identify and record every grave where a Jewish service member had been laid to rest at Arlington National Cemetery, home to 400,000 graves of veterans and their family members. For years, Poch had been rattled when hearing people repeat the myth, “Jews don’t fight and don’t serve.” To shatter that misconception, the retired audio technician spent 15 years identifying the Jews buried at Arlington, best known for its Tomb of the Unknown Solider and the grave of President John F. Kennedy. Complicating Poch’s mission, grave markers other than crosses were not permitted at Arlington until 1918. Even after stars of David were allowed onto the grounds following World War I, some Jews continued to be buried under crosses — including those grown accustomed to hiding their Judaism out of fear of discrimination, and some who had the decision made for them. Nothing was computerized. To fulfill his mission, Poch explored every corner of the grounds to record names that might be Jewish. Every year before Christmas, he visited Jewish graves to remove the wreaths people had placed on them. Refining his search along the way, Poch consulted biographies of veterans and thousands of family members. By the time of his death in 2003, he had identified the names of 2,700 Jewish service members interred at Arlington, and his notes filled 31 boxes.